A common problem for many organisations is the accumulation of digital records and information in systems which become obsolete. These systems either rely on legacy technology, or are related to non-current business processes. However many of these systems contain high value information, and their poor management can become a significant risk for organisations. Decommissioning is a process by which a system is removed from use in an organisation. Decommissioning requires analysis of the data in the system, identifying the data, metadata and system documentation that must be brought forward and retained, and an accountable process for deletion of residual data in the system. Many organisations we have talked to know the specific, tangible benefits they can get from decommissioning systems, but are unsure how to appropriately document these decisions. Alternatively, they have trouble making final decisions, or taking action, just in case. The following are what we think are some compelling reasons for government organisations to take a more planned approach. The key for many of decommissioning projects is accountability for decisions around implementing retention. Actions taken to retain or dispose of data must be supported by appropriate analysis, documented, and approved at the appropriate level, and must reflect authorised retention and disposal authorities. Organisations which understand the value of decommissioning are building the capability and understanding to do this into their system design processes. Those organisations are identifying the drivers of business and technical obsolescence for their new system, and their requirements for the information, and building the capability to simplify the decommissioning process when the system inevitably reaches its useful life. While decommissioning often involves retiring systems at their end of technical life or business use, it also something which occurs to manage duplicated data and information being managed in multiple systems and repositories. Many organisations prolifically generate uncontrolled copies of data and information. This may be because it may be difficult to distinguish which copy/version is the source of truth, such as which version is required to demonstrate decisions that were made or actions that were taken. Commonly, versions and copies were generated for specific and appropriate purposes, but those purposes have been superseded and the records are being kept “just in case”. For example, an organisation might be managing copies of project documentation in an EDRMS, a SharePoint site, shared drives, and project management tools, as well as having multiple technical backups. Or it might be managing multiple versions of a scientific dataset as it moves through collection, analysis, finalisation and publication. These situations will often present multiple decommissioning and rationalisation opportunities. Many organisations we have spoken to have had trouble defining records beyond a document-centric approach. In certain business contexts, specific documents may not exist at any point in a process, but multiple datasets may be generated both by intermediate steps in a business process and by technical processes such as backup. Identifying which version is the source of truth, and which is a version with a limited and time-bound purpose, is essential to having an authoritative record. Maintaining and documenting unneeded systems and multiple versions of datasets has a significant and costly overhead, and will inevitably divert attention and resources from managing the organisations authoritative records. Large government organisations have told us about very specific cost savings they have calculated for decommissioning unneeded systems and controlling their duplicate copies of datasets. Quite simply, many organisations tell us that they are overwhelmed by the deluge of information they are managing. While reducing the accountability, technical and cost burden is important, the overall simplification and rationalisation of an organisations digital information is really important to ensure that what is needed is available and used. 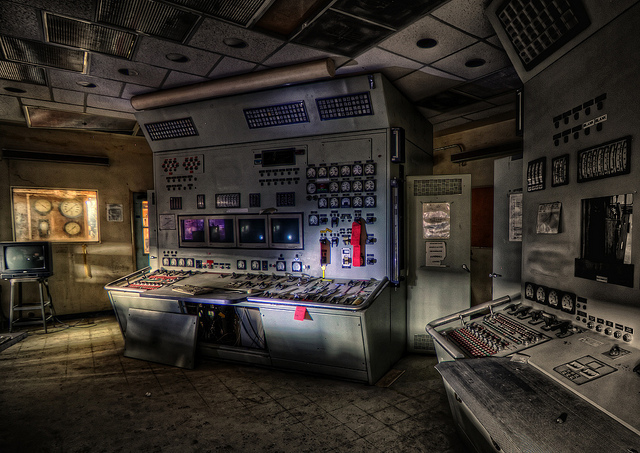 Tell us your decommissioning story! If you have a successful decommissioning project, and would like to share a story about what worked for your organisation (or what didn’t) please feel free to comment below or get in touch.